How do you deal with the Digital Transformation? You would be surprised how many companies still use several different technologies for their core business processes. Every single subtask has to be manually organized and performed. And if these sub-processes are not joined-up, data silos emerge almost instantaneously and business processes become increasingly inefficient and opaque. In short, valuable resources are wasted. How can resources be deployed more precisely in the future? It’s no longer a question of “whether” or “if” the digital transformation is taking place. It’s happening now! Current trends hugely influence the media and entertainment industry. This is reflected in the media consumption behavior of your customers. The majority of consumers have become much more refined and discriminating. The speed with which the requirements and demands of your target groups change has rapidly increased. Consumers help themselves to a varied palette of formats with a broad range of content, available any time over multiple platforms. At the same time, your customers are just one click away from your competition. Your competitor’s customers are, however, just as far from yours. Therefore, opportunities and risks lie very close to one another. Traditional revenue models suffer from slowing growth while new sales opportunities are emerging. The winners of the digital transformation will be those who are in the position to handle multiple channels with relevant content, just like the enterprises that can react flexibly to trends. The speed and extent of disruption is increasing. More decisions have to be made and then implemented with purpose and speed. Reduce Complexity, Optimize Processes, Increase Efficiency. That’s the Essence of Digital Transformation. Digital transformation can only be successful if the right information arrives at the right time in the right form. Better yet if the information is already bundled together and can be distributed or accessed centrally at any time! However, this is not trivial. Corporations are growing, projects are increasing in scope and suddenly a legion of resources is involved. Scheduling these manually and managing the project suddenly becomes expensive and abstruse. We at expertplace solutions have been automating production processes for over 15 years with our scheduling software CEITON. Boutique operations with ten employees can benefit e.g. from our semi-custom workflows, which can be implemented quickly and inexpensively. However, large media houses with several thousand employees are also represented amongst our customers. For them, process consulting and implementation are much more complex. In addition, support and maintenance after go-live is much more intense. Only if a company’s processes are maintained regularly, is it able to remain effective and efficient and take advantage of the digital transformation. We and our partners help with this. So that we remain able to do so, we continue to optimize our own processes. What do we do and how do we do this? We give you a brief overview with our newly defined release cycle and the CEITON Mobile Workbench. Further details will be demonstrated live by our experts during NAB 2017, the world’s largest media fair in Las Vegas. One person waits for the times to change. The other grabs the opportunity – and acts. Digital Transformation is Happening. Now! Act now and prepare for an ever more complex ecosystem with innumerable market participants and fast changing trends. This is just as true for established broadcasters, public and private, as it is for the multitude of small and medium-sized broadcast and media companies. You don’t want to have to spend your energies catching up on years of technical deficit. 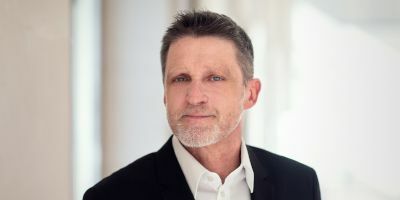 The graduate engineer in messaging technology, specialising in communication, has been a Managing Director and partner of expertplace solutions GmbH since 2013.